A tubular offshore steel structure is verified according to the API RP-2A LRFD, ISO19902 and Norsok N004 standards. The buckling length is recognized automatically. In this tutorial, API 2A RP Beam Design Checks are reviewed in details. 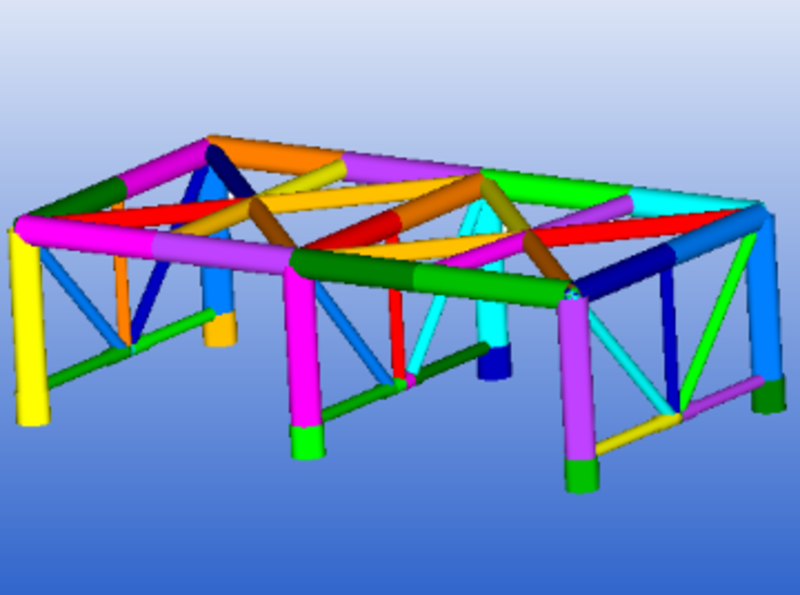 A beam model of a steel frame has been used as a start FEM model. Beam member finder was used to recognize beam member length in 3 directions. The report was generated with the help of report designer.